Grand Convention 2017 is only a few months away, but let’s be honest, does anyone really need another excuse to do a little shopping?! 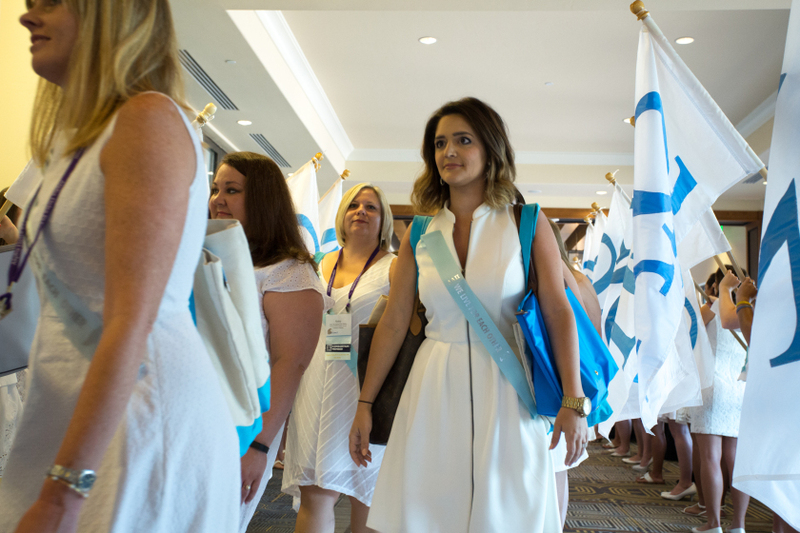 The Adelphean Processional is the official start of Grand Convention, and as is our tradition, all participants must be in an all-white dress (white slacks are not allowed) , with no colored accessories, trim, piping, embellishments or buttons. The shoes must be white, but can have either a white or cork heel. This Convention tradition dates back to 1941. Participants wear white and have blue satin ribands with our motto “We Live For Each Other” pinned to their outfit. Most sisters don’t have a problem finding a white dress but finding white shoes can be a completely different story. This is where our Adelphean Processional Pinterest board comes in. We’ve been pinning Convention appropriate, dresses, skirt suits, and shoes from stores of all price points to help everyone get ready for the Adelphean Processional.